Pokémon Go is very easy to play and get started with. Even if you haven't played any other Pokémon games before, you will get the hang of it in only a short time playing. 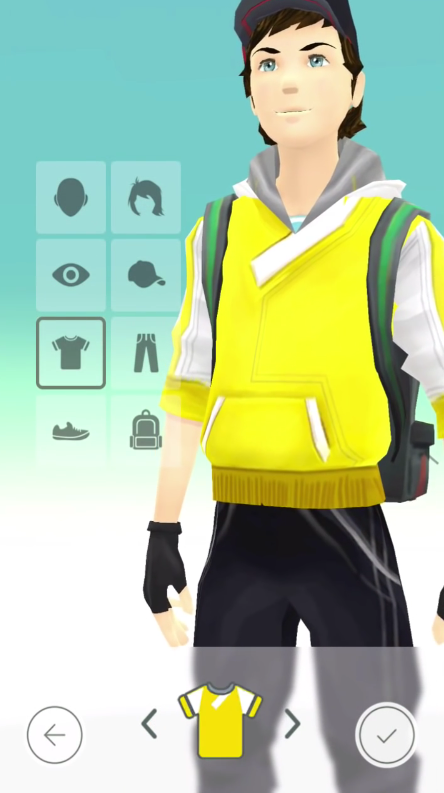 To help get you started, here is a comprehensive Pokémon Go Beginner's Guide. 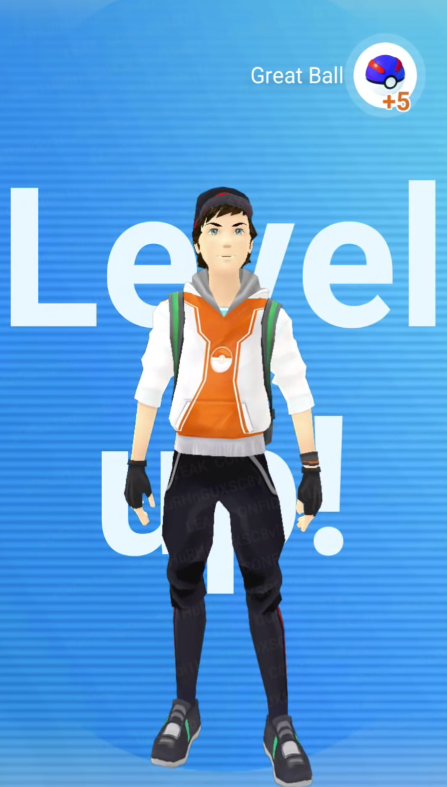 This guide includes basics such as App Requirements, Terms, Capturing of Pokémon, Obtaining Items, Gym Mechanics, Leveling Up and More. Pokémon Go is an Augmented Reality MMO (Massively Multiplayer Online) game, which allows players to Capture, Trade (Trading TBD) and Battle virtual creatures (Pokémon) in the real world. 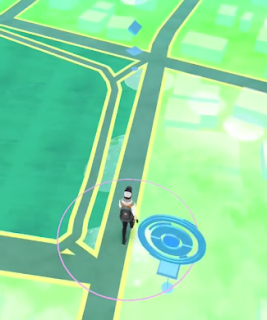 Pokémon Go can be played on Mobile Devices and requires both GPS and an Internet connection to play. 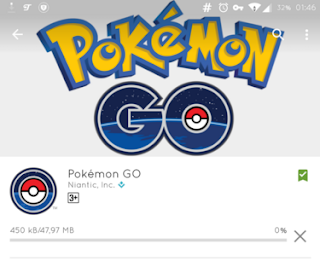 Before you download Pokémon Go, be sure to check if your device meets the necessary specifications and requirements. Pokémon Go requires an Android or iOS Device with GPS and Internet access (WiFi or Mobile Data) to play. Android devices must have version 4.3 or higher and iOS users must have an iPhone 5 or better. Not sure if you meet the requirements? Learn which OS your phone is currently running. The game can be downloaded in either the Google Play App Store (Android users) or the iTunes App Store (iOS users). Depending on your device, simply head over to either Virtual Store and search Apps for “ Pokémon Go”. Click on “Install” and you should be good to go. Be sure to have at least 200MB of free storage space to download the App. The initial download is around 50MB, but there may be new updates to download as well. If the storage space on your device is insufficient you will be prompted with a message upon the attempted download. Simply delete unused files (Apps, Pictures, Videos, etc.) or clear your Cache to free up the necessary space. This section goes over the basic Terms, Settings and Controls every new Pokémon Go player should know. There are a variety of different Terms used in Pokémon Go, which some players may not be familiar with. Be sure to check out the Glossary to learn more about the commonly used Terms and Phrases in Pokemon Go. You have the ability to zoom in and out of the map while traveling. In addition, you can choose to turn on the Battery Saver mode, which is very useful for conserving power (especially if you don’t have a backup battery). You are the controller. Simply start walking and your virtual Trainer will travel along with you. Use your touchscreen to interact with the Menu. Pokémon and Locations on your Map. The controls are simple to use and you will get accustomed to them in a short period of time. If you have intend to use the Pokémon Go Plus, make sure to keep your phone's Bluetooth setting on. When connected wirelessly, you will be able to capture Pokemon without needing to look at your smartphone. If you would like to learn more, feel free to check out the 10 Best Pokemon Go Tips for Beginners. Also be sure to check out the comprehensive Trainer Leveling Guide. Thank you! Thorough yet succinct introduction. How long is it between visits at a Pokestop before you can get more items? It says come back later. I believe 5 minutes between Pokestop visits, also no trading yet! Can the camera be used? Or is it just a unique way of saying screenshot? A couple of questions.... What are Pokéstop Modules? And when exploring if you click on an area around you it highlights briefly in blue a section, does this do anything? every time i open the app i have to sign in with google, which takes a while, anyway t stop this? You don't have to have a GPS chip to play. I'm using my iPod which does not have a GPS and I'm able to use the wifi location services as long as I'm somewhere I can connect to wifi. Obviously you can't go roaming the wild without a GPS but you can at least go to places with free wifi. Also traveling with a friend who can make their phone a hot spot works. If you are walking around and you select the icon in the bottom right of the screen that shows a bunch of nearby Pokemon, if you select one of them what does that do. It puts a blue ring around them in the menu and it switches the icon but does it help you find them??? If so how? To the person asking about pokeballs yes they show up in the bag if you have any. To the person along about trading that is not available yet. To the persons asking about pokestops when you tap the stop you have to spin the middle to collect the prizes. After about 5 minutes you should be able to spin it again but times vary. For more accuracy stand by yours and time it starting after you spin and stopping when it turns blue again. To the person asking about the camera you can use the camera when you are trying to catch the Pokemon just tap the camera icon in the bottom right corner and take your picture. To the person asking about logging in if you want to you can make an account with the Pokemon Trainer Club but I think you have to start over. At this time though they are limiting the number of new accounts because they are unable to keep up with the demand at the moment. And finally to the person asking about the nearby feature the Pokemon at the top of the full screen starting with the one on the left hand side is closet to you. But if you have it minimized to where you only see three the one on the right hand side is the closet. Also if you tap a specific Pokemon that will be the only one you will see once the nearby screen is minimized, it will pulse when you walk in its direction. However if you haven't selected a specific Pokemon the one that is closest to you will pulse instead. The footprints that appear next to or under the said Pokemon indicate distance in meters three being further away from you. If you see no footprints then they are within 50 meters of you. Are there any differences (strengths, weaknesses) between the three teams? Better at capturing wild pokemons? Better and attacking a gym? It's to early to tell but most people say there isn't and to just pick which ever one you want. No one will know for sure until the creators say something. Also a great piece of information if you throw a pokeballs and miss you can pick it up again. All you have to do is tap the ball. The app has been updated since this guide was released. Notably: The team selection screen now has better artwork, naming the teams(Valor, Instinct, and Mystic), naming attributes for each team(strength, intuition, and wisdom), and naming trainers for each team. Each team also has its own Legendary Mascot, based off of Moltres, Zapdos, and Articuno, respectively. The trainers listed are Candela [likely based off of Flannery from Ruby/Sapphire], Spark [likely based off Volkner from Diamond/Pearl/Platium], and Blanche [likely based off of Blanche from the XY series anime]. Aside from personal preferences and with whom you wish to cooperate, nothing else seems to distinguish the teams at this time. appreciate your hard work friend! Thanks for the tips, advice help and hard work!!!! Works well with iPhone 4s - iOS 7. Very useful. Thanks a lot man! I'm at Level 23 almost 24, but I find battling intimidating. I can't figure out how to choose my six pokemon and how to change them . . . I've fought two battles and won both, but it was mostly because I've got some crazy strong pokemon, but I've been building a well rounded team of strong pokemon and I'd like to be able to understand how you pick your team and how you switch between pokemon. I would double click on the one that I wanted and it would take me back to my pokemon. I would single click in an attempt to highlight but it wouldn't let me change my selection . .It's making me concerned because I don't want to be able to understand how I'm accessing and leaving pokemon, etc. at Gyms. Thanks!